It can be really difficult to decide what packaging solution is best for your business, especially when there's so many options available. You might have heard about packaging automation and how it can transform your process. But what are the pros and what are the cons? We asked packaging experts about all things automated in the industry, and here's what they said. First of all, what kinds of packaging solutions are available today? Without packaging automation, hand wrapping or using some other packaging medium is required such as shrink hood or strapping. The process takes much longer, but only in terms of direct labour involvement. There’s inconsistency in terms of packaging applied, depending on how tired the operator is and how rushed they might be with the workload. Having no packaging automation is overall a slower process, more labour intensive and therefore pretty costly. Not only that, but the results of the packages will ultimately vary due to different operator focus and fatigue. An example of this is using a stretch wrapper, where the wrapping cycle is instigated, loaded and unloaded by someone. It doesn’t take long for the operator to load and start the process, it can be done in just a few seconds. The system then does the rest and usually provides consistent results. However, the initial cost can be a challenge, and the reliance on equipment might mean less staff, and so in the case of emergencies there is a degree of exposure to risk if the system should stop working. There are many lasting-pros to semi-automation, nonetheless. These include consistent finish to the packaging, a higher speed of process, and freeing up labour constraints. But it still allows operator’s to “play” with the packaging if they need to. This sometimes includes a palletiser feeding a wrapper by means of conveyors. Sometimes automatics are stand-alone systems, and although they are loaded and unloaded by an operator, things like the infeed and collation wrapping is all done automatically by the system. This usually removes the need for an operator completely, however like semi-automation, this can be an issue if the fully automated system stops working suddenly and contingencies aren’t available or in place. Another challenge is cost, as this kind of equipment can be expensive in the outset. But it does result in a very high throughput and consistent results which simply cannot be matched by labour, and in turn will save money in the long run. Why might I consider installing an automated packaging system or machine? With some carefully selected automation, you can speed up the way you secure your packages for delivery, and make sure they’re not going to be returned. Automated stretch-wrapping, for example, can increase the speed palletised loads can be tightly secured, while also reducing the need for manual intervention and maximising the yield from each roll of film. 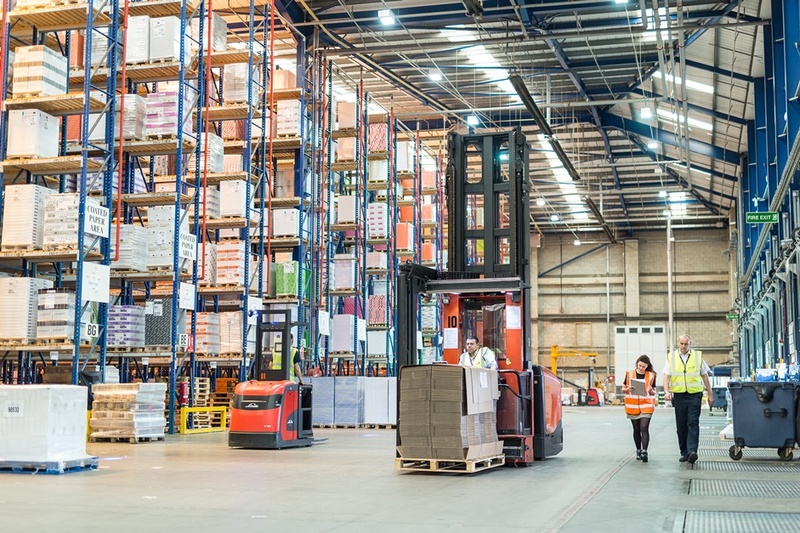 By creating more space in your warehouse, you can improve pick/pack timings and on-site efficiency. Some traditional void fill systems such as polystyrene chips or conventional bubble wrap are pretty bulky to store and hard to handle. Automated void fill systems such as paper or air based solutions are a great way to reclaim that valuable space. By using an automated system or machine, you can make sure your packages are consistent in aesthetic, so you don't need to replace items and waste incorrect packaging. Automated and semi-automated strapping makes it possible to increase the speed with which packages and boxes can be secured for shipping. And because they’re mobile, they can be easily moved to packing stations experiencing high throughput. This not only speeds up the load strapping, but also improves the consistency of your packages. There are a number of automated packaging solutions designed to speed up the packaging process, freeing up workers to perform other tasks, and in turn reducing costs. This can be anything from an automated stretch wrapping machine, to box erectors and sealing machines. Where hand stretch wrapping a pallet might require two people, after introducing an automated stretch wrapper, the process will only require one. You could use automated stretch-wrapping to increase the speed palletised loads can be tightly secured, while also reducing the need for manual intervention and maximising the yield from each roll of film. Automated and semi-automated case erectors have a compact footprint, but can drastically speed up the erection and sealing of a wide variety of cartons, boxes and cases. User-friendly automated tape application machines seal both the top and bottom of your boxes automatically. Being easy to adjust for different case sizes and mobile enough to use flexibly, they really speed up sealing on different packing stations, on demand. This frees up packing operatives, and not only makes the assembly faster, but also much safer. Automated systems are more likely to help you cope with increasing volumes of packaging. So as your business grows, your packaging system keeps up to speed. Back injuries from manual handling are a major cause of occupational ill health. Over a third of injuries lasting three-days or more reported annually to the HSE are caused by manual handling. Switching from stacking pallets by hand to automated solutions is far less risk averse. It can also significantly increase your production output and save costs on transport and labour. If I already have an automated packaging machine or system, why should I consider adding to what I currently have, and what options are available? If your existing equipment isn't good at dealing with the growth in output, or the age of your equipment means it's not as up-to-date in efficiency, you might want to update your system a little. Having an outdated system might mean the techology is redundant, and new equipment would reduce the maintenance costs and give the end result of improved auesthetics and security. This will result in happier customers and help you to avoid any additional replacement costs. What's more, you could need a redesign of your factory in terms of flow and access. Or you might need changes to product specification such as height, weight, and stacking patterns stability. The options available for you are semi-automation, full-automation, retrofits on existing Lantech equipment and conveyoring palletising. What are the key considerations when buying an automated packaging machine or system? First and foremost, it's important to understand what you need now, as well as what you might require in five years' time. Look at the quality in terms of system build and reliability. You'll also need to look at the system's performance by trialling and making comparisons with other brands. Ask yourself: how well is the system warrantied? What's the cost of ownership in terms of servicing, parts, breakdown and depreciation? Is it suitable enough for your products and workflow? Does it cover the range of sizes and weights for your products? Is it stable enough? And of course, always look into the brand reputation and customer loyalty, too. How should I budget for my new system? Prepare a justification/payback based on current costs and criteria such as load security, labour savings, consumable cost reduction, packaging waste reduction, and savings due to increased throughput and output. What can Antalis Packaging do for me? As well as having the most comprehensive range of equipment and expertise of any distributor in the UK, Antalis also sell the world’s leading brand in Wrappers and Case equipment with over 2000 placements in the UK market. We also have our own in-house engineering team and facility, and the capability to design and engineer solutions, as well as having high quality partners who we collaborate with on the more comprehensive projects. Not to mention they have possibly the most thorough and in depth knowledge of systems related consumables combined with an unrivalled stock range. Chat to us today about any more questions you have about automated systems!